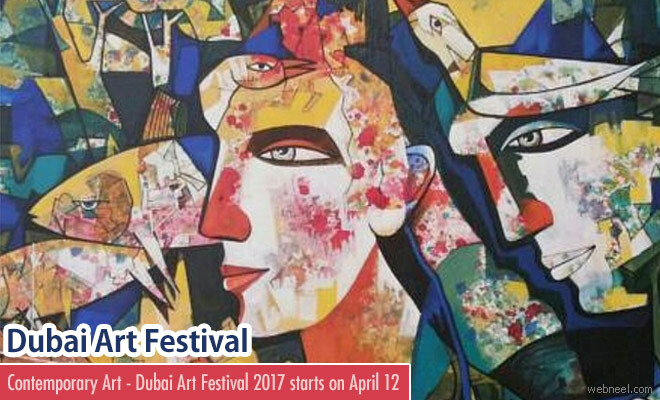 Enjoy the diverse contemporary art ar Dubai world trade centre from 12-15 April 2017. The world art fair steps into it's third edition, which showcases the culture of dubai in contemporary art forms. According to their website, "As part of Dubai’s Official Art Season, World Art Dubai reflects the city’s growing prominence as a leading cultural and artistic hub with a unique fusion of art, education and entertainment featuring a diverse collection of contemporary art work, paintings, prints, sculptures, photographs and media ranging from $100 to $20,000.The upcoming third edition of World Art Dubai is set to generate real buzz amongst the booming Middle East contemporary art scene with its unique selection of over 150 international galleries and artists from five continents". Apart from enjoying great paintings, you can also participate in amazing workshops, live paintings and many more. To find out more about World Art Dubai 2017, or to enquire about exhibiting yours or your gallery’s affordable works of art, please email us at worldartdubai@dwtc.com or contact our team of passionate art lovers and enthusiasts.